This freshly painted, beautifully maintained & lovingly cared for, 5/3 pool home, located in the Westfield Lakes subdivision of Winter Garden! 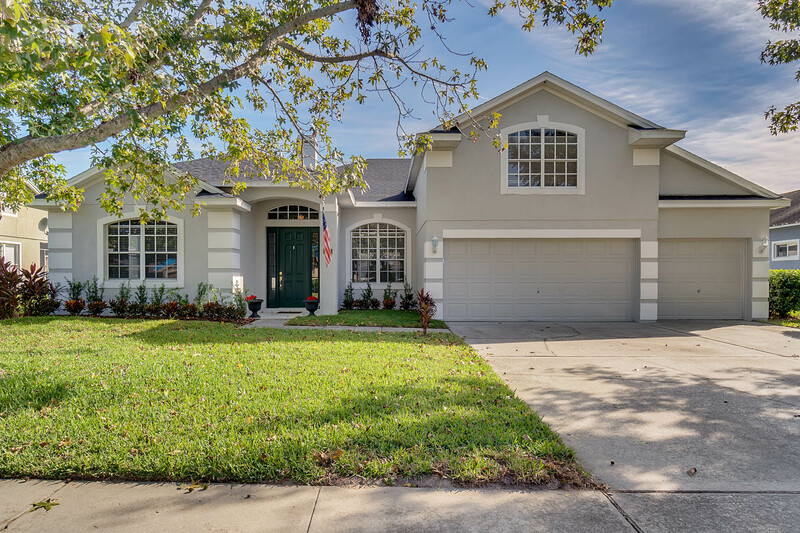 Situated on a serene pond with a picturesque fountain, this gorgeous 3,080 sf home boasts a NEW ROOF, NEW TILE flooring, & NEW KITCHEN & APPLIANCES! Master Suite overlooking the screened pool, lanai and pond, four other spacious bedrooms, 3 full baths and formal living & dining rooms. All this AND a 20'x17' family room with a stacked-slate, wood burning fireplace AND a 20'x14' bonus room AND 3 car garage! Inviting oversized island draws you into the kitchen area and then you fall in love when you see the pristine cabinetry and and gourmet kitchen appliances! Other interior features include a security system, 3-way split bedrooms, a large laundry room, tile & carpet flooring, recessed lighting, modern ceiling fans and vaulted ceilings throughout, triple sliding doors out to the screened lanai measuring 18'x15' and a view you won't believe! The master bedroom is spacious and the master bath boasts a separate shower and garden tub, his & her walk-in closets, private access to the lanai, enclosed water closet and separate vanity double sinks. Outside, the irrigation system helps maintain the lush landscaping and the oversize 3 car garage and parking pad provide for plenty of parking. The list goes on! Schedule your private showing today!